This volume aims to question the recent revival of neo-nationalist policies in the light of what unconscious fantasies are involved in these developments. It examines both recent movements of right-wing extremism and the way in which rearticulated neo-ethnic ideas have been adopted by mainstream politicians and in mainstream public discourse. Politicians from other than the right-wing populist parties have tended to resist specific ways of talking that are considered too extremist, rather than their underlying frame of interpretation. Governments across Europe have adopted anti-immigrant and anti-Roma policies. Xenophobia and hostility towards 'others' is on the rise, along with appeals to "Tradition and Security". 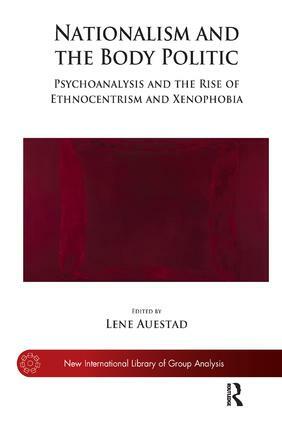 'Cultures of fear' are linked with fantasies of fusion or 'imagined sameness'. Alongside the image of the nation as a mother and/or father, Reich (1933) called attention to the fantasy of the nation as a body, echoed in Money-Kyrle's (1939) characterization of 'group hypochondria' in connection with the burning of witches and heretics.